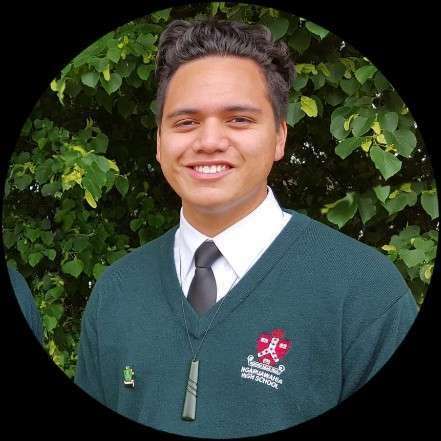 Wirihana Eriepa - "I have obtained skills that will support me throughout my life"
Kia ora, my name is Wirihana Eriepa and I have the greatest honour of being Ngaruawahia High School's Head Boy for 2016. For me, this final year of high school has been the most enjoyable so far. This is because as Head Boy, I've had the opportunity to experience new and exciting things, obtain skills that will support me throughout my life, and have networked with numerous influential figures who do so much for the community. As Head Boy I perform tasks such as running the bi-weekly assembly, representing the school on important occasions and acting as a role model for all of the students to look up to. In addition, I've accomplished many positive changes at Ngaruawahia High School. These include the establishment of the student council earlier this year. This had led to a significant increase in student voice and student-led initiatives, such as Pink Shirt Day and Wig Wednesday. I'm also the Student Trustee of my schools Board of Trustees, where I provide a student perspective on governance issues. My experience in these positions and groups has taught me many important leadership skills, such as how to chair meetings, how to delegate tasks, how to network and more. When I leave school I want to go to University and pursue a career that incorporates my two main passions - creative writing and helping people; particularly youth. To fulfil the latter aspiration I want to become an English Teacher, Youth Worker or a Psychologist. I am certain that the support provided by Ngaruawahia High School and the positive environment are what contributed to my success and I wouldn't trade it for any other school. 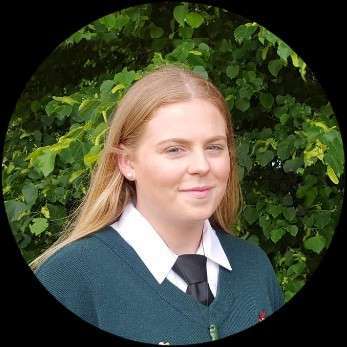 Stacey Deane - "I feel more involved in the school and has provided me with the skill set to succeed"
My name is Stacey Deane and I have attended Ngaruwahia High School for five years. I am the youngest of six children who have all attended this school and am currently completing Level Three and University Entrance. My intended pathway is the University of Waikato where I plan to study to become a primary school teacher. I have the privilage of being the Head Girl of Ngaruawahia High School for 2016 and I have thoroughly enjoyed this role. I have learnt many new skills this year. When I started in the position I was very hesitant about public speaking because I am not a confident speaker. With practice I can now stand up in front of a large crowd and speak confidently. Being Head Girl, I have a range of duties including organising fortnightly assemblies and being a leader of the student council. The student council organises events such as Pink Shirt Day and Wig Wednesday, where we raise money and awareness for worthwhile causes. These duties have made me feel more involved in the school and have provided me with the skill set to succeed in whatever I choose to do in life. Over the past five years that I have attended Ngaruawahia High School, I have watched the school change for the better. Ngaruawahia High being a small school means that we can receive more attention from teachers. We are more that just a number on the roll. The school has made great strides into innovative learning and offering individualised programmes for students. A highlight for me this year was when students were offered a collapsed programme in term three, which allowed us to gain credits and these were free of charge for students. I look forward to following the school's progress in the future and know that it will continue to grow and improve.